It’s a dangerous world out there, and while none of us think something bad will happen to us, we shouldn’t sit by idly thinking the worst will never come. You also shouldn’t panic every moment you’re alive about what might happen, but life is all about balance, and you have to find a happy medium. The ideal is to be ready for whatever life throws in your path, but knowing where to start the preparations is tough. 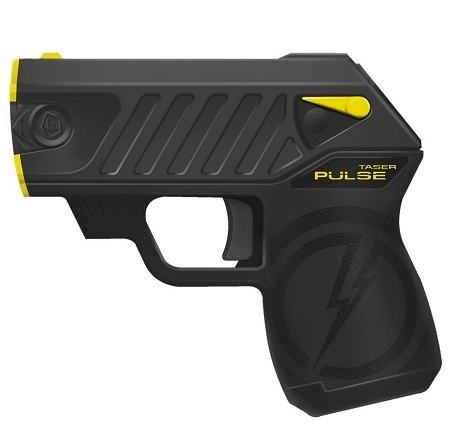 While there are plenty of great self-defense classes that will help you get in shape and teach you how to deal with attackers without a weapon in your hands, there are peace of mind gadgets like the Taser Pulse. This looks like a gun that would shoot bullets, but instead fires 50,000 volts at 7 watts at those causing enough clamor to make you want to cause anyone harm. It has a protective soft cover, and is capable of closing a distance of 15 feet, so if you see real trouble approaching, you’ll have some ground between the two of you when firing. This comes with 2 live cartridges, and should immobilize your attacker for around 30 seconds. It weighs 0.5 pounds, so it shouldn’t add too much weight to your day bag. Although, seeing that there are enough items for precautionary measures to fill the Smithsonian, you’ll have to pick what you consider essential items for every day carrying purposes. This is a $372 purchase, which makes it one you won’t be buying on a whim.